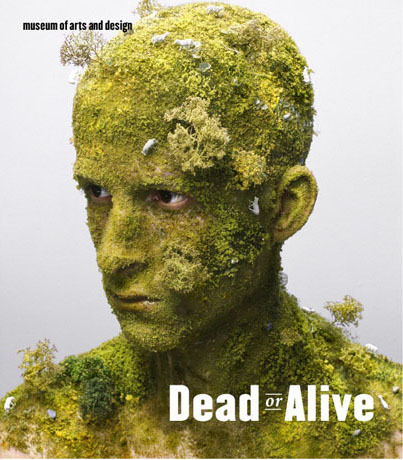 The Dead or Alive catalogue accompanies the Museum of Arts and Design's current exhibition - Dead or Alive: Remixing the Ordinary - which focuses on the transformation of organic, recycled and even forsaken materials - such as bones, shells, leather, feathers, insects, butterflies, etc. - into extraordinary works of art, overflowing with the beauty of life and timeless reflections on mortality. Including essays by the exhibition's curators at the Museum of Arts and Design, David McFadden and Lowery Sims, and an introduction by the Museum's Director, Holly Hotchner, the book covers all 40 contributing artists with full page spreads of their work, personal statements, and over a 140 color illustrations documenting their effort to convert to artistry all earth's substance and ruin.